Blue Sky Healing Home News: Blue Sky Alumni updates ! WenJie (our famous "sumo wrestler" on our website) - was our 5th baby at Blue Sky arriving at age 8 months old (in 2004), and leaving Blue Sky at almost 4 years old. 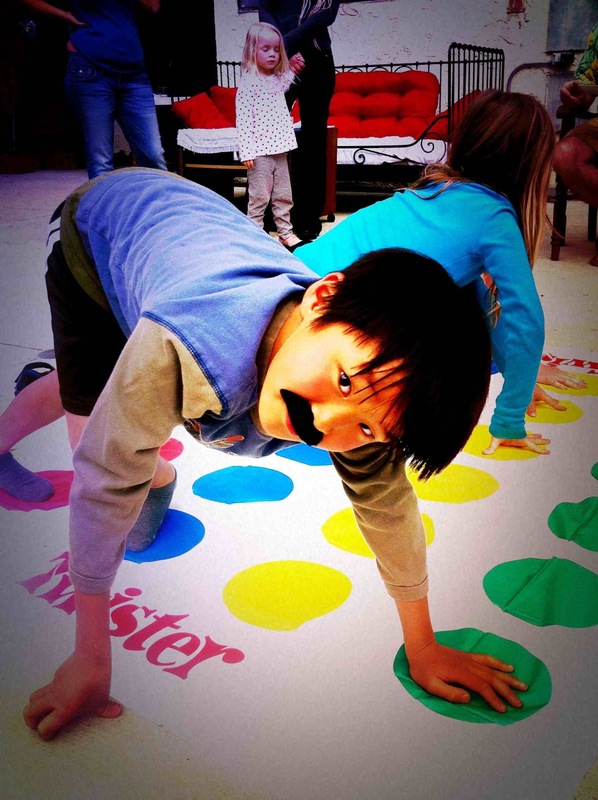 "Here is a recent shot of our Wen, who, at a B-day party, is wearing a faux moustache! He is now 8 years old, and has so many friends. He is enjoying reading & knitting, & is a little soccer star." Wen's mom. Let me start by saying that Libbie (Dang Xiao, adopted July 5, 2010) is a true gift to us, thanks to the loving care she received from you. As you probably remember, Libbie could not walk as her knees were dislocated. Also her feet were clubbed. Since bringing her home in July 2010, she has had 5 surgeries and is WALKING! She (and we), couldn't be happier. I have attached some photos of us and Libbie."